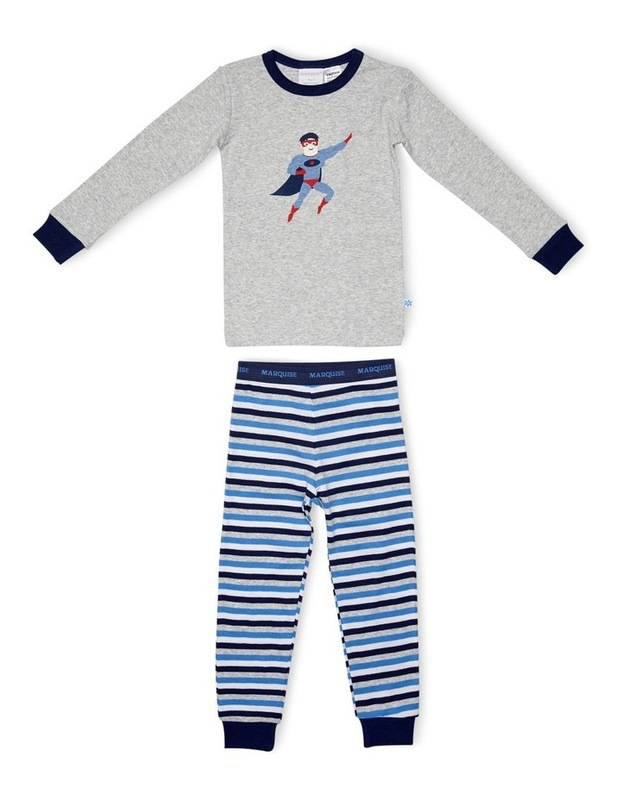 Your little one will sleep comfortably in this superhero pyjama set. 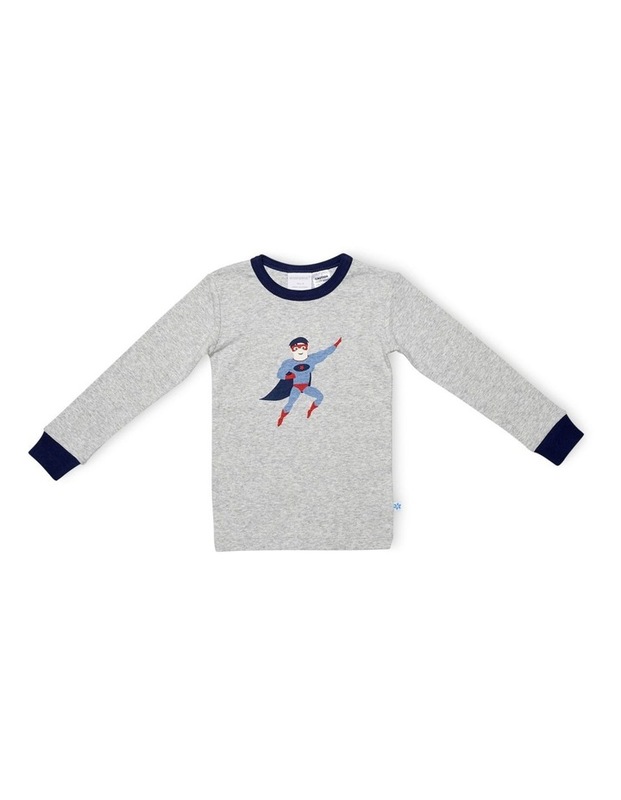 It features a superhero on the front of a long sleeved grey marle top with navy cuffs. 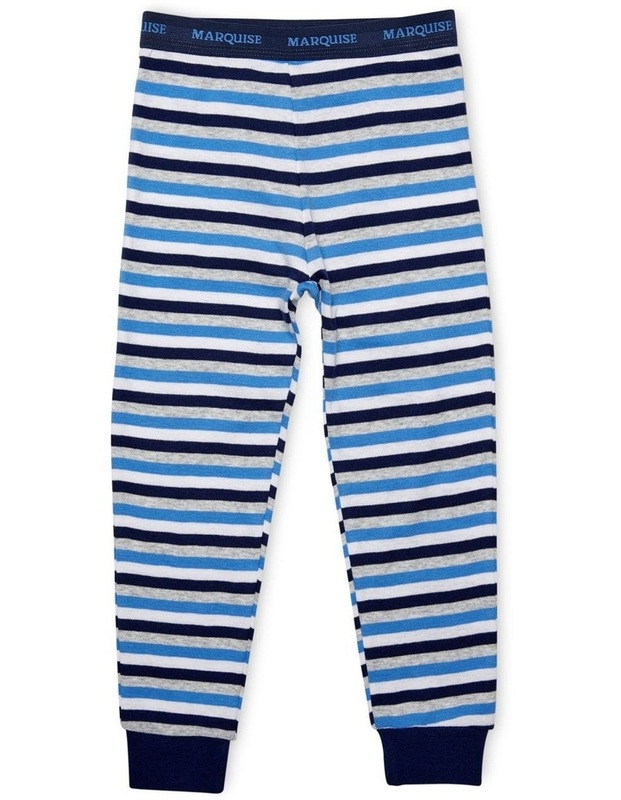 The long, multi-coloured striped pants have navy cuffs and are finished with a navy, flat logo waistband.